No militant group has claimed responsibility for the raid, which caps a bloody year for as long-suffering civilians and security forces were slaughtered in record numbers. The president of Afghanistan, , whose government has been criticised over its security failures, said “terrorists attack civilian targets to hide their defeat on the battleground”. 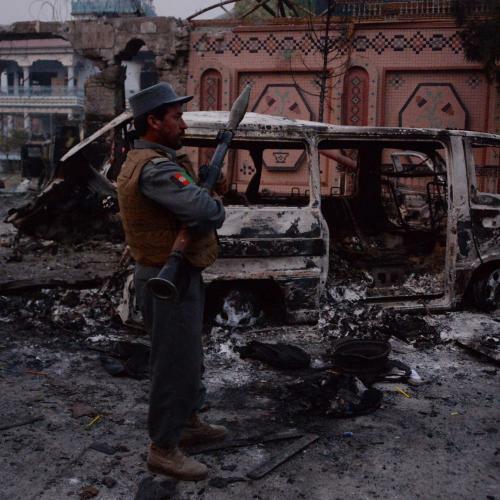 Afghanistan’s de facto prime minister, Abdullah Abdullah, also sounded a defiant note as he blamed the for the attack. But their statements belie the grim reality on the battlefield, where the Taliban have the upper hand. The raid followed a tumultuous few days in Afghanistan where officials were reeling from US president , which many fear could harm efforts to end the conflict with the Taliban.